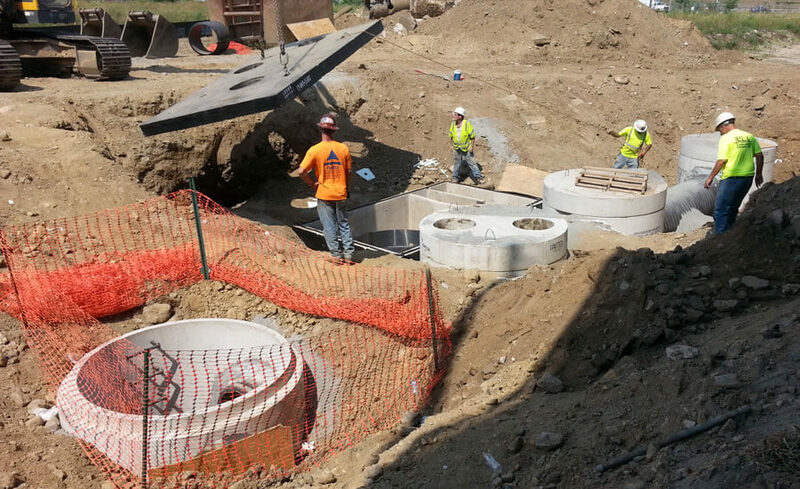 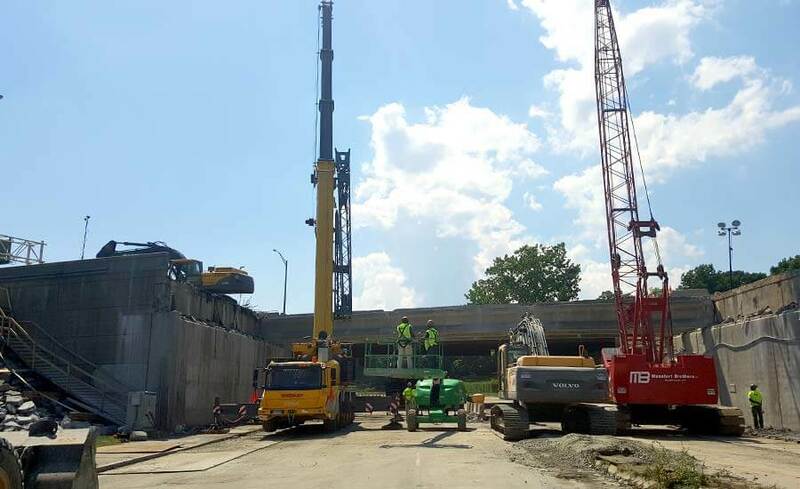 Route 8 Bridges Removal & Replacement - Manafort Brothers Inc. 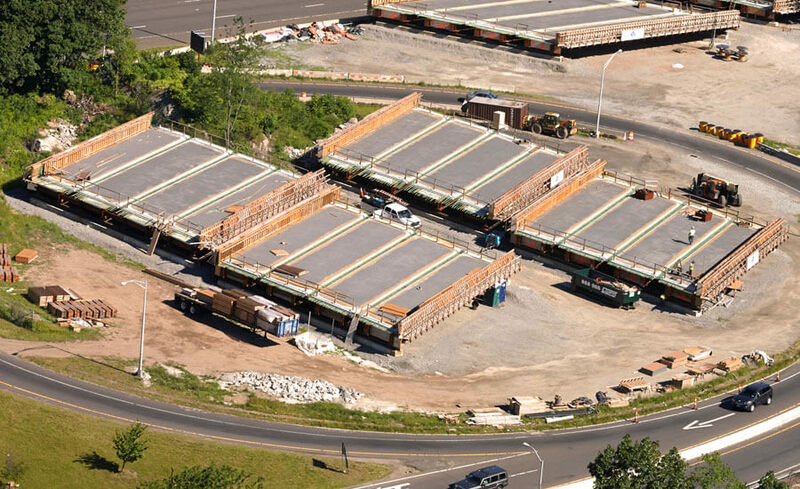 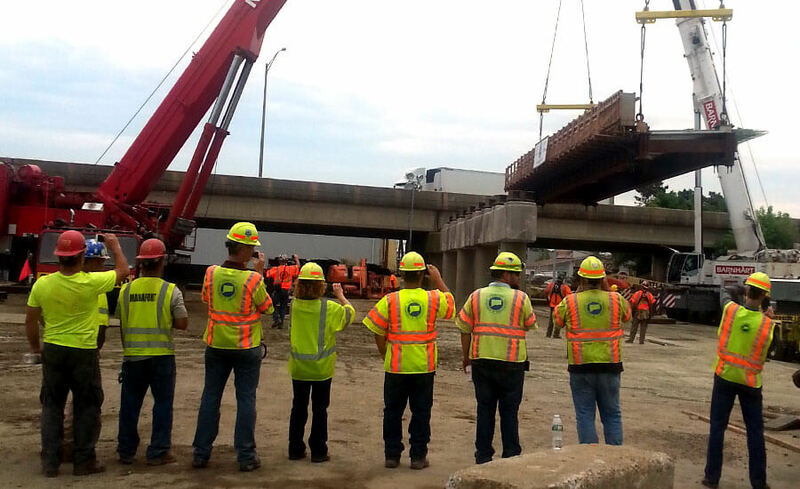 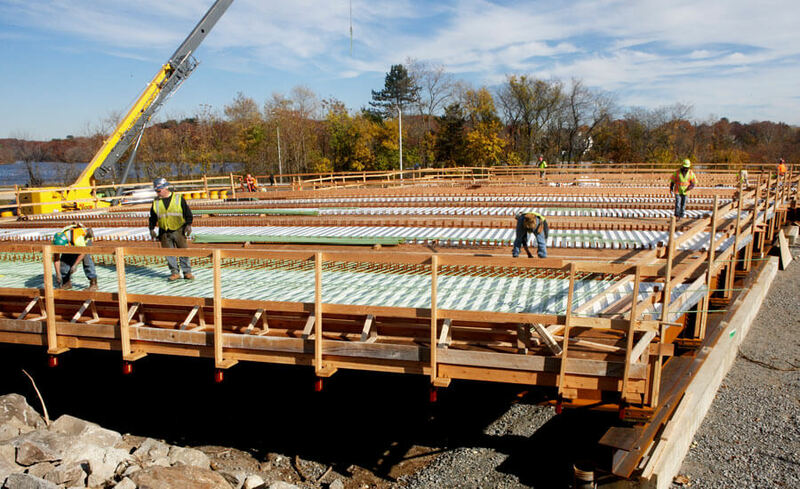 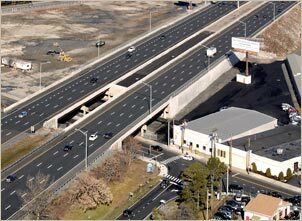 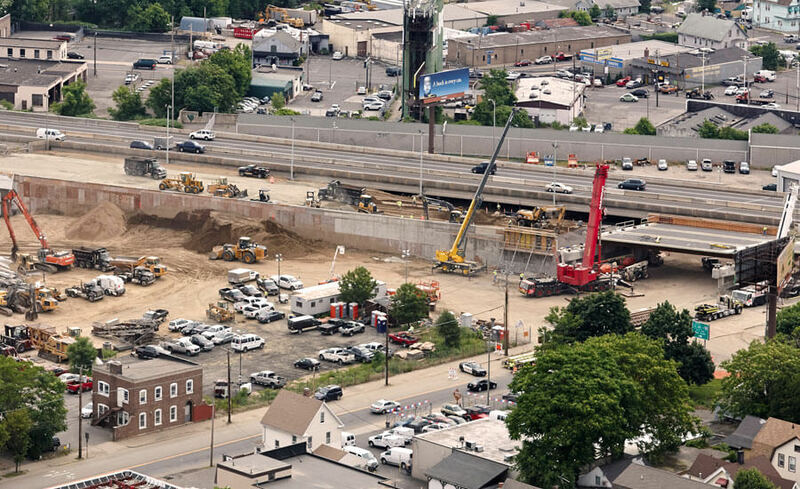 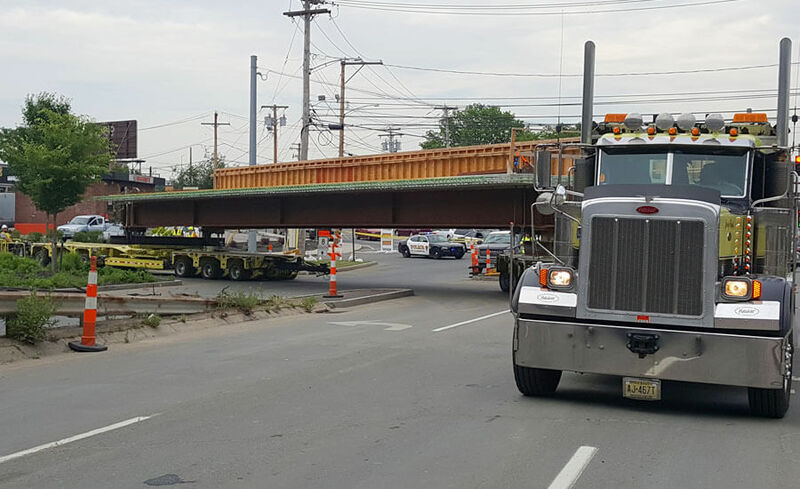 The CTDOT – Design / Build Removal and Replacement of Bridges 03761, 03762, 03764, and 03765 along RT 8 in Bridgeport, CT was the first Design / Build Project performed for The Connecticut Department of Transportation. 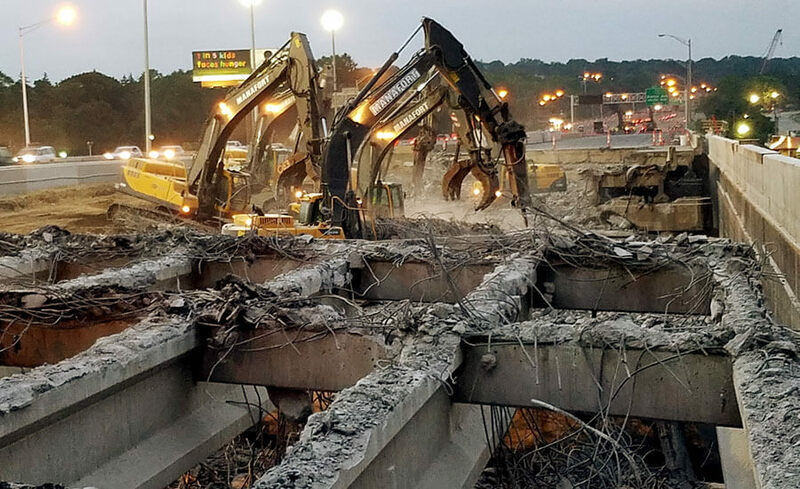 This Accelerated Bridge Construction Project consisted of the demolition of 16 bridge spans and the design and construction of 10 new replacement bridge spans. 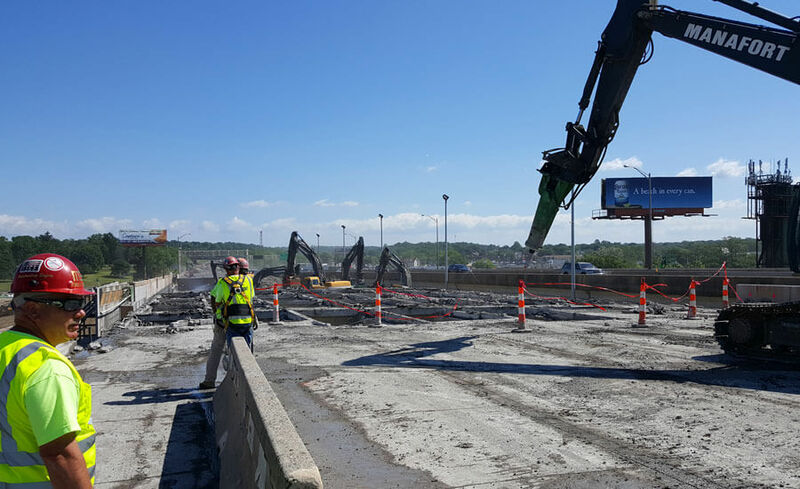 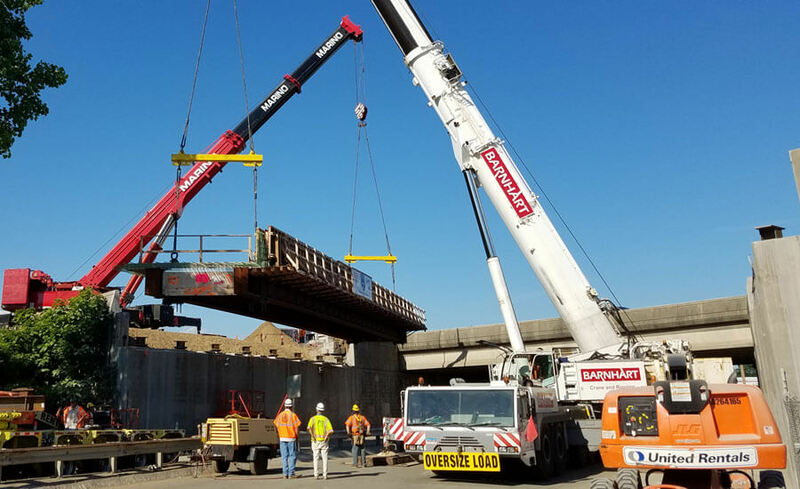 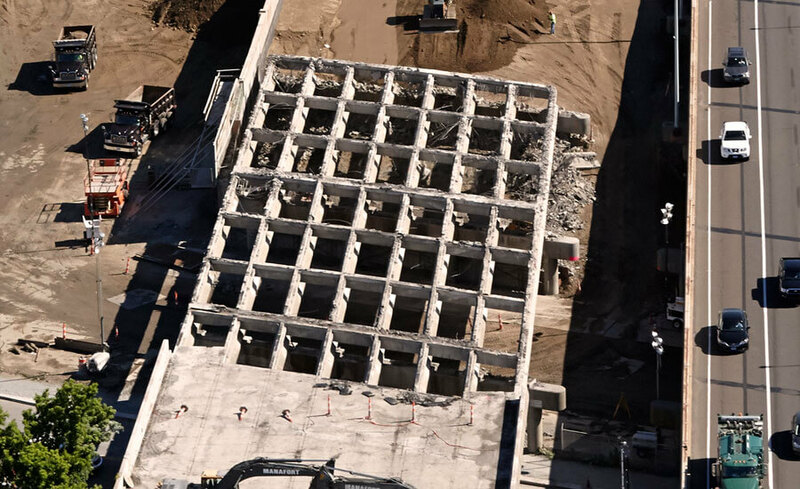 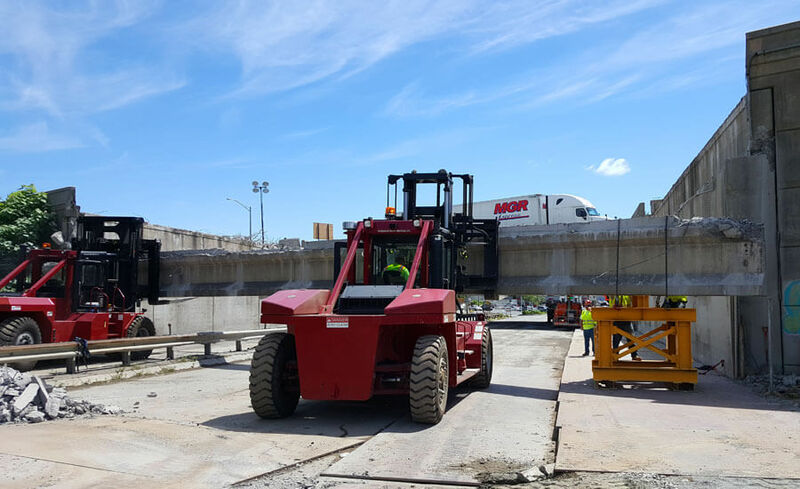 The work included demolition of the existing bridges, new bridge superstructures, bridge substructure repairs and modifications, cast in place concrete walls, earthwork, and roadway construction. 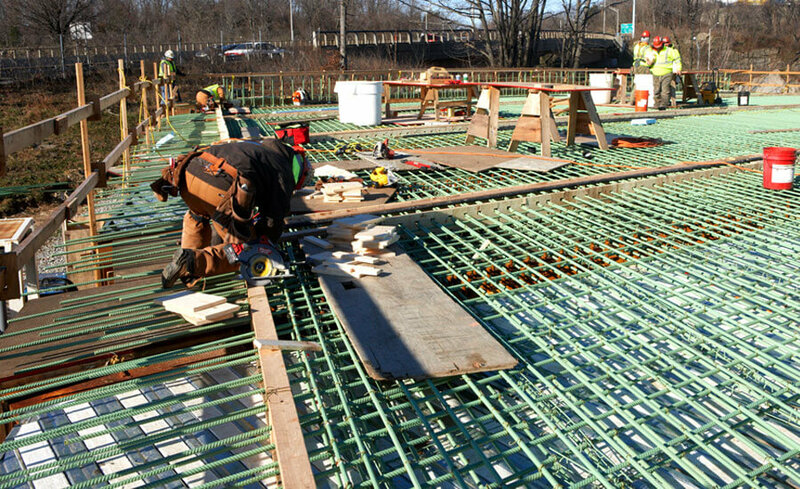 All work was performed using Accelerated Construction Techniques. 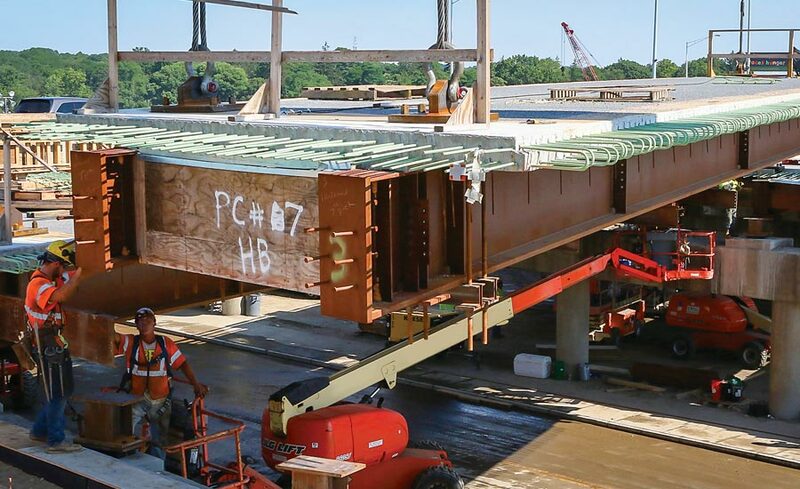 Manafort collaborated with it’s Design / Build Partner WSP Parsons Brinckerhoff to develop a detailed design that supported these Accelerated Construction Techniques most notably including onsite prefabrication of the bridge superstructure units. 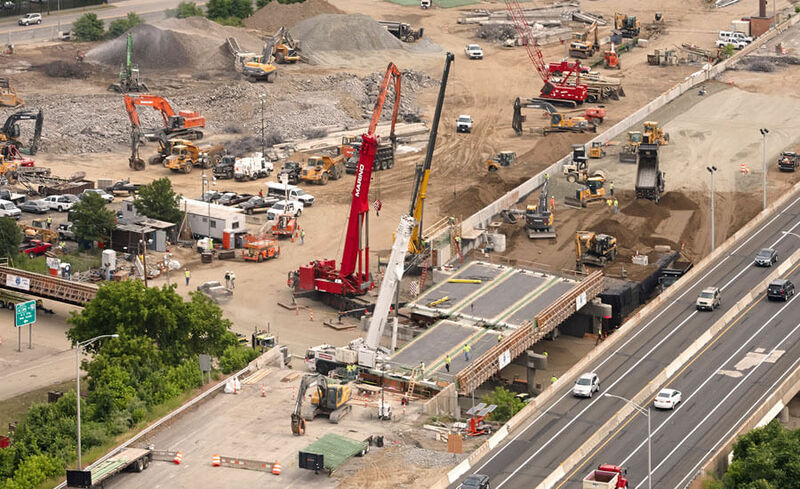 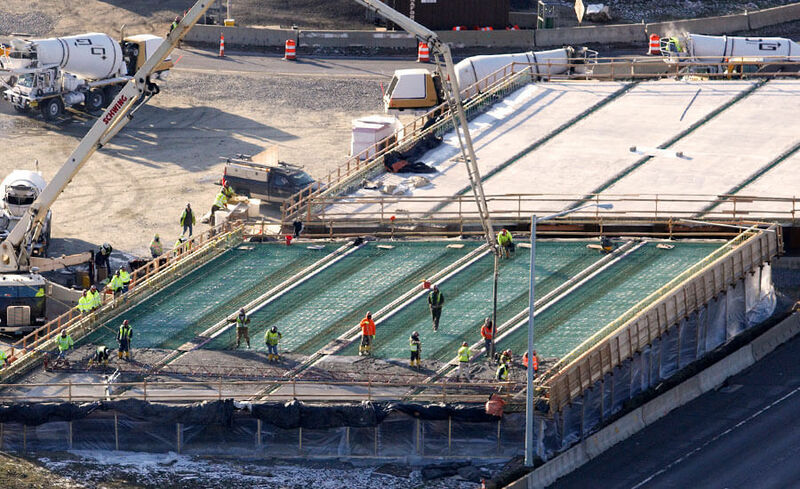 The bridge superstructure demolition, reconstruction, over 30,000 cy of roadway and structural fill, and highway approach work was all completed ahead of schedule, four days less than the two, 14 day shutdown periods allowed by CTDOT. 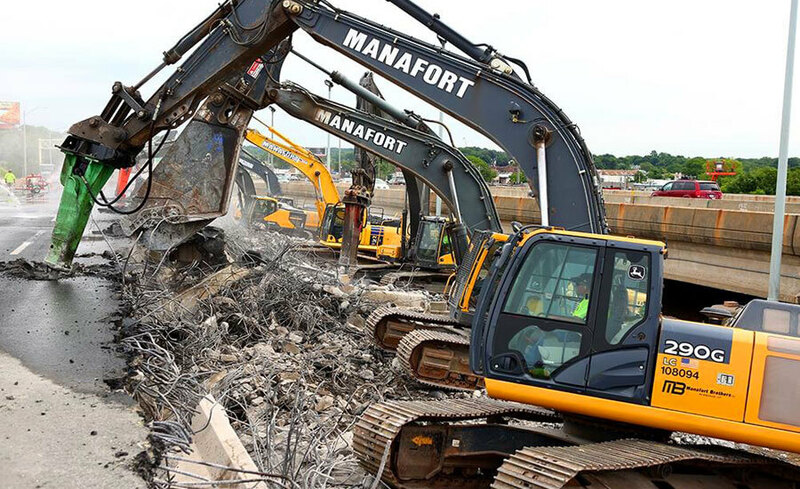 Through detailed planning, prefabrication, scheduling, and coordination, it is estimated that Manafort completed two construction seasons worth of work during these two 14 day shutdown periods. 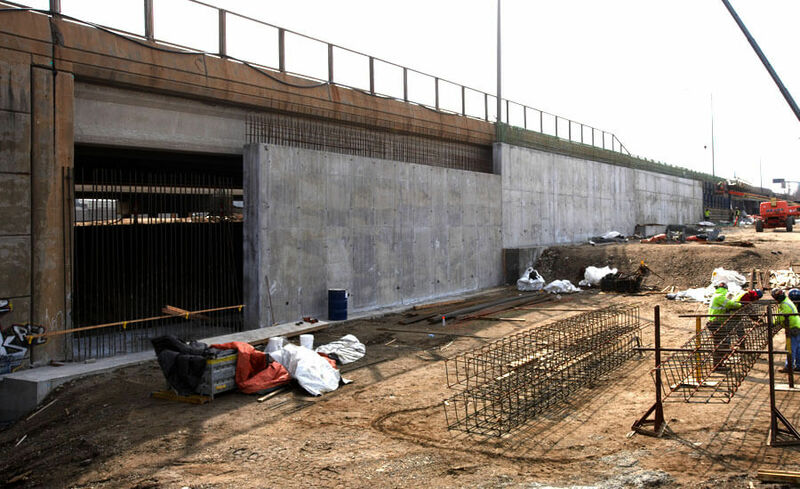 The project was completed under budget, ahead of schedule, and was the recipient of a number of regional and national industry awards. 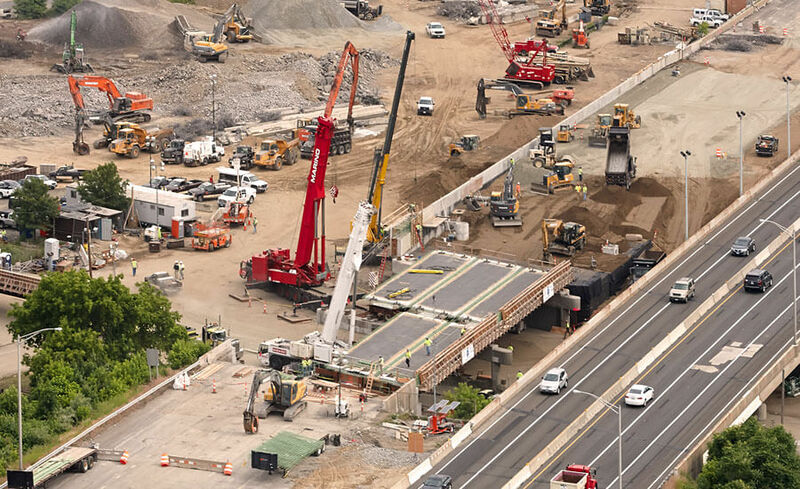 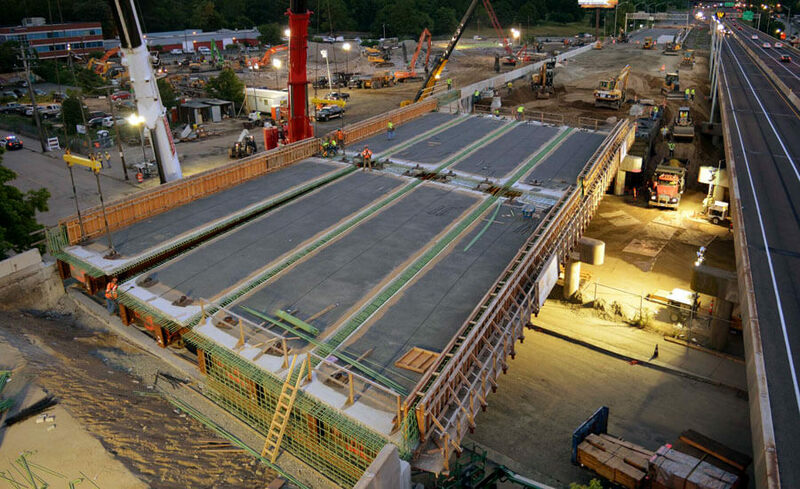 Manafort served as The Design / Build Prime Contractor for the project and self-performed a majority of the work including demolition, excavation, cast in place concrete, onsite prefabrication of bridge superstructure units, road and highway work.